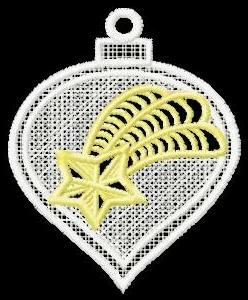 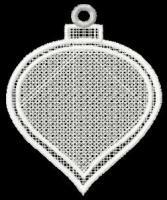 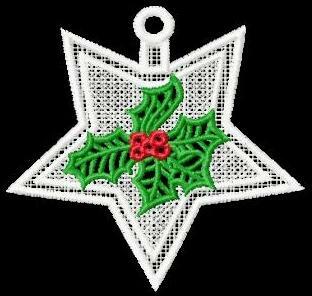 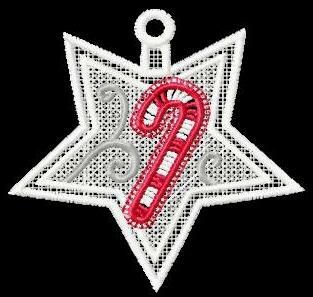 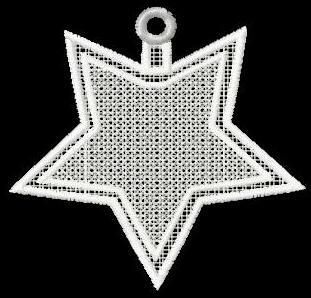 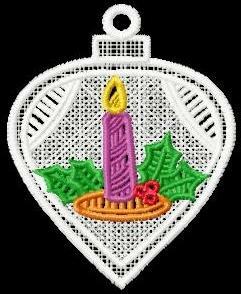 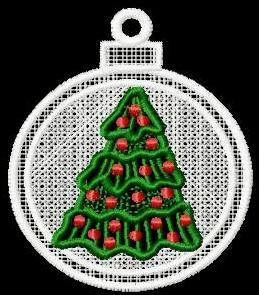 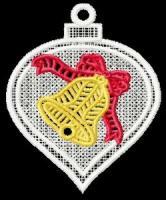 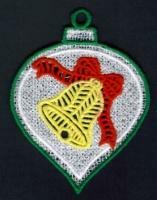 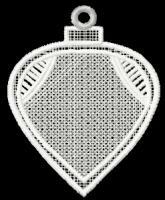 10 elegant free standing lace (FSL) Christmas tree ornament machine embroidery designs in two sizes - 4" tall and 5" tall. 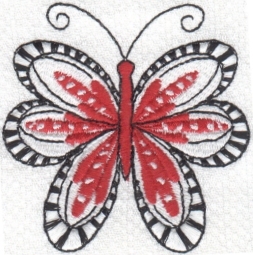 May be stitched as Free Standing Lace or on organza or tulle. 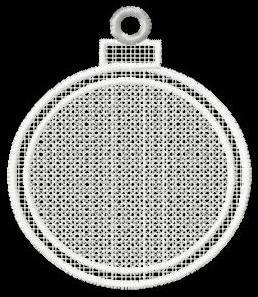 Full instructions are included. 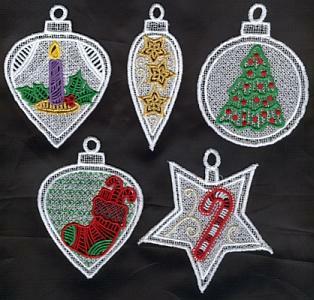 or to add your own lettering or small designs for your own unique ornaments! 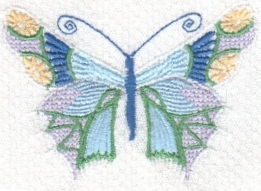 Be creative and use variegated or twist threads with stunning results! The price of this collection in either size is $22. 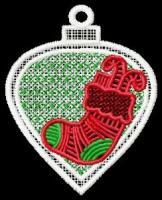 BOTH sizes for only $38. Pam stitched the round blank in variegated thread and it turned out like plaid. 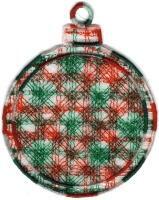 Very kewl! 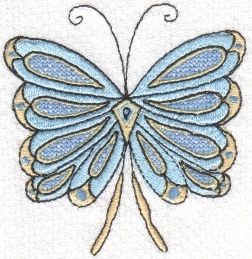 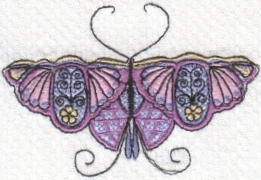 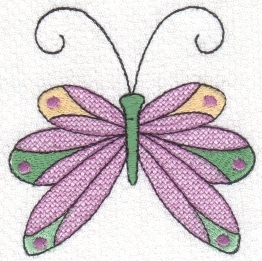 Here, Pam was experimenting with different colors for the satin stitch outline. Looks great! 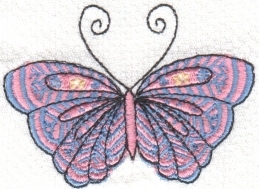 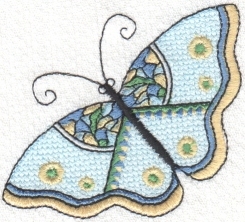 On this one, Pam used variegated thread for the satin stitch outline. Gotta love it! 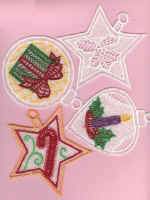 These are some of Peggy's stitchouts. Notice the star and how fantastic these look done all in one color. 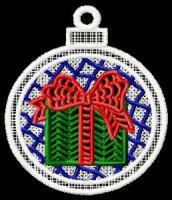 Leave it to Dee K. to push the envelope and try creative new ideas with designs! She made coasters out of these ornaments! 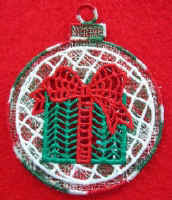 Another ornament using some variegated thread. Fanchon made this beauty. 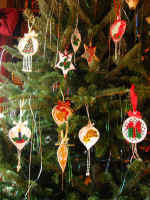 Dee K. made backs to some of her ornaments and added a name and year to them. These would be great for gift tags, too! 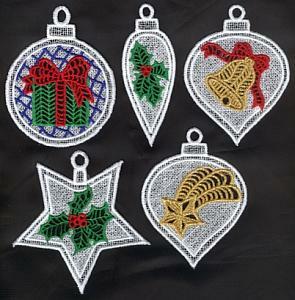 My good friend Dee S. glitzed up her ornaments with ribbon, sequins, and beads. The picture doesn't do them justice, but click on it to get a better view. 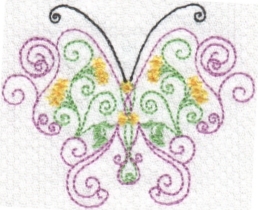 They are really pretty!